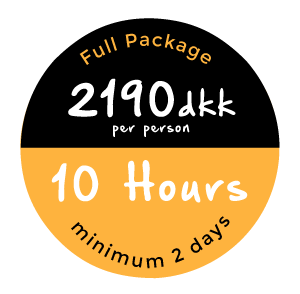 We arrange beginner kitesurf courses around Copenhagen from Sydvest pynten, Lynæs, Nivå and Dragør for everybody from the age of 14 (min 50kg) to 100+. If you are younger than 16 you need permission from your parents to join. 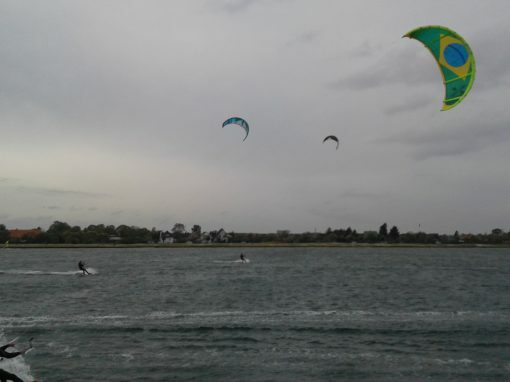 Kitesurfing is a easy access sport if, and only if, you respect the learning process and the safety procedures. 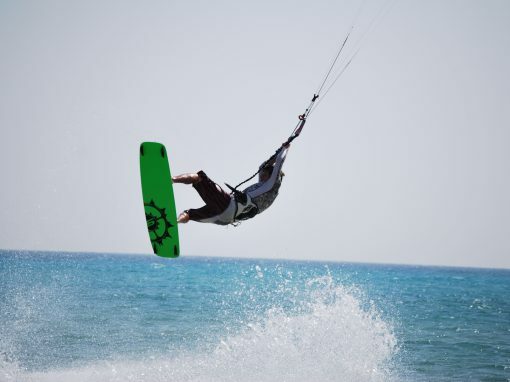 Kitesurfing is not limited to merely managing the board and kite, but it is also necessary to know how to choose a good spot according to weather conditions, set up your kite properly and safely and to know how to behave when problems occur. 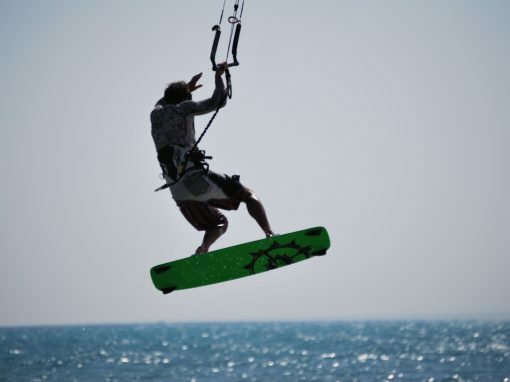 It is to make you a responsible kite surfer and make you progress with pleasure and serenity. 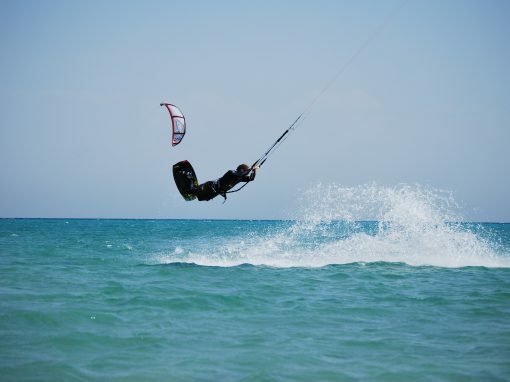 Becoming a kite surfer does not happen in a single session and that’s why we recommend you the optimized courses. 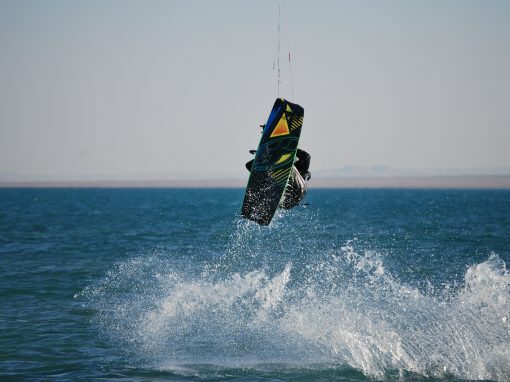 We propose different way to learn how to kitesurf. You can choose the full package (3 modules) or the specific module you need. Or choose a focused course in one of the three modules at the cost of 395 dkr per hour. 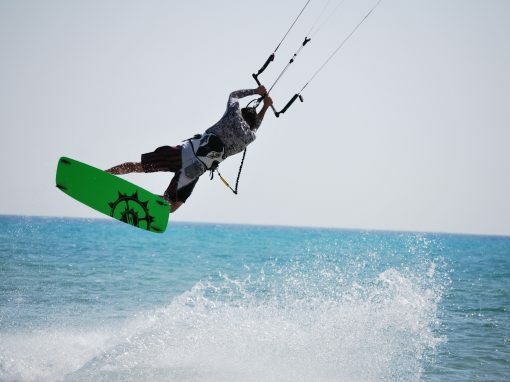 These courses are ideal for people who want to learn well the basis of kitesurfing, within relatively short time, and still leave time to spare to recap anything if necessary. You will receive lessons from one instructor, but together with one other student. Booking this package does not require you to register together with another person. Book one instructor for 3 to 4 students maximum. Booking requires you register as a group. Group courses are ideal for friends, colleagues etc. on the same level who wants to learn together and share a unique experience. Learning to kitesurf with people you know makes everything more fun and also makes the time waiting your turn in the water more pleasant. After completing the beginner courses you can become member of Nauticeasy Rider’s facebook group. As a member you can surf for 3 hours with all the equipment and an instructor to supervisor for only 2 clips. This way you can avoid or postpone buying your own expensive equipment and at the same time keep working on your skills, with guidance from our professional instructors, making sure you reach your goals as time efficient as possible. Note: At the end of the course your gliding will not be perfect, but you will master the skills necessary to start practicing on your own in a responsible and safely way. 4 hour course, cost 850 dkr. You start on land with a trainer kite learning how to manage and maneuver a kite. Learning how to set up and prepare your equipment. Theoretical talk through about wind window safety processes, communication, launching and landing. Now it’s time to get wet! The main objective is get comfortable with your kite when in water. We will use “kite 4 lines” between 6mand 10m long. We’ll run you through some different variations of the exercise called “body dragging down wind”. 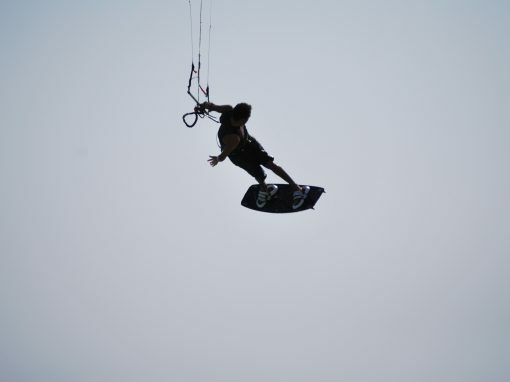 This is the comfortable and safe way to familiarize yourself with the kite and water before taking the board out. 3 hour course, cost 800 dkr. Relaunch the kite from the water, keeping your balance and stability. ”Body drag upwind” with and without board. How to rescue yourself, train correct reflex maneuvers and maintain a responsible and respectful attitude for the wind and kite. Finally you will start to get control of your kite and learn the unwritten rules of conduct when surfing among other surfers. Recap of the safety rules. Working on finding your balance and controlling the speed. And if there is any spare time some extra fun stuff. You have to book in advance via sms 28447499, email or at our facebook page. In order to reserve a spot on the booking list you must transfer 500 dkr in deposit. The amount will be deducted the full price of the course which is paid at the beach before beginning the course. Unfortunately we only accept Mobilepay or bank to bank transfer, we apologize for the inconvenience. We will confirm the reservation by phone. Due to changing weather conditions we will contact you again only 24 hours before the course with information about the surfing location. Cancellation more than 24 hours before start of the course will give you a full refund of your money or Cancellation within 24 hours of start of course the deposit will be lost or an alternative date can be arranged.